Allan, you should upload bottom pictures (always). They are the most important for deciding age. The decoration is sometimes not decisive enough for age evaluaton. 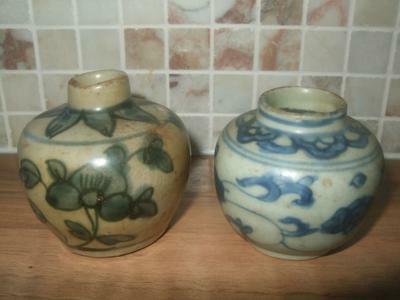 AS to the current two, the left one is possibly Zhangzhou ware. Both are approx. Wanli reign, in my opinion.